Biography - A singer with no limits and maximal stage presence. Malin Foxdal has been described as “Folk music’s Monica Zetterlund”. 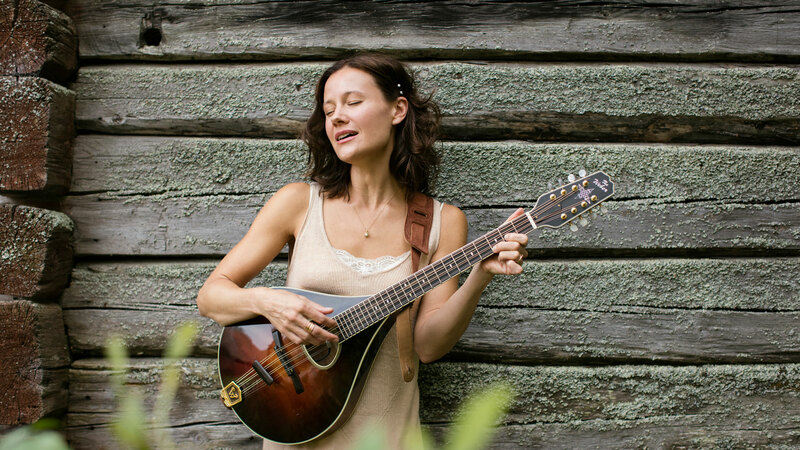 Her distinct mix of Swedish folk music and song with influences from American folk music and blues has won the hearts of both audience and critics. A singer with no limits and maximal stage presence. Personal and immersed in the moment, with everything from folk music and songs to art music and storytelling theatre in her repertoire, she has spellbound audiences throughout the entire country as well as Europe, USA and Asia. Over the years she has collaborated with, amongst others, Peter Carlsson & Blå Grodorna, Lena Willemark, Sofia Karlsson, Bengan Jansson & Kalle Moraeus, Mikael Samuelsson, the list is long… Malin has been a member of several bands, such as Irmelin and Electric Folk. Since 2007 she is an artist under her own name and often plays with Anders Nygårds & Magnus Zetterlund. Over the years the band has varied from trio to sextet, and amongst others Esbjörn Hazelius, Emma Reid, Mattias Pérez and Johan Lindbom have played with Malin. Malin was born in 1978 in Sundborn, Dalarna, where she began her musical path in Karlsbyheden’s children’s choir when she was four years old. When she was eight years old the family moved to Falun. There, she received her first major role as soloist in a concert with Georg Riedel when she was eleven. Malin has studied at the Music and Arts programme at Haraldsbo Secondary School, Musikkonservatoriet in Falun and the Royal College of Music in Stockholm (1998-2004). Following her graduation she has worked as a singer, actress, composer and playwright. After living in Stockholm for fifteen years she is once again resident in Falun. In addition to her current projects, Malin can also be engaged as soloist, singing teacher and for artistic coaching, as well as workshop/course leader and arranger of vocal music.